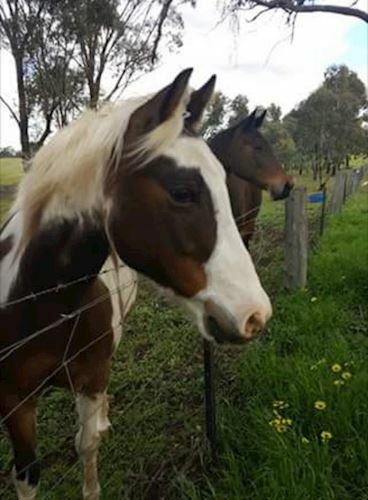 Here at Kangaroo Flat Veterinary Clinic our dedicated team are experienced with all aspects of equine care and medicine. We provide on site veterinary services where our highly qualified and acredited veterinarians will visit your property or hobby farm. Veterinary care for ailments such as wounds, laminitis, colic etc. We are able to provide on site visits within a 60km radius of Bendigo including Lockwood, Sutton Grange, Mandurang and Sedgewick. If you need anymore information, please contact our friendly staff. Vaccinations are a key component of preventative health care in horses. By helping the immune system to defend itself against infection and disease, we can minimise the chance of your horse showing clinical signs and requiring potentially expensive treatment. The most important vaccinations for horses in this area are tetanus and strangles. Tetanus, though uncommon, is often fatal in unvaccinated horses. Infection most often occurs through contamination of wounds, with the bacteria most commonly found in the soil and in droppings. Strangles is an extremely contagious bacterial disease that most often causes respiratory signs. Given the infectious nature of the disease, strangles is notifiable and you will have to restrict your horse's movement while infected. While vaccination does not guarantee protection, it can minimise the clinical signs seen. Tetanus and strangles can be given as a 2-in-1 vaccination, or each can be given separately. Here at Kangaroo Flat Vet Clinic, we are also accredited to administer the Hendra vaccine. Hendra is a potentially deadly viral disease, which is spread by fruit bats and can pass from horses to humans. While no recent cases have been confirmed in Victoria, the potential threat is there and there is currently no known treatment for the disease. The Hendra vaccination can only be administered by vets with specific accrediation. If you would like to book your horse in for vaccination, please contact the clinic on 5447 0172. Laminitis or " founder" is a common cause of lameness in horses and ponies; particularly in the spring time. The laminae are the attachments between the hoof and the pedal bone underneath. When these become inflamed or damaged, the attachments can break down, leading to the pedal bone dropping towards the sole of the foot. This creates pressure on the sole and can be extremely painful. There are many factors that can contribute to the development of laminitis. These can include changes in nutrient content and sugar levels in the grass, excessive intake of carbohydrates (e.g. breaking into the feed store!) and severe lameness on the opposite leg. Underlying conditions, such as Cushing's Disease (PPID) and Equine Metabolic Syndrome (EMS), can also make a horse more prone to laminitis. Signs of the condition include a pottery gait, reluctance to move and increased pulses in the blood vessels supplying the feet. Affected horses willl often show a classic laminitis stance, where they lean back on their heels to take weight off their painful toes and will often be seen to be lying down more than usual. Management of laminitis involves dietary restriction, confinement and antiinflammatories. Your vet may also recommend farriery, longer term weight loss measures or testing for underlying diseases that may be stimulating the condition. If you are concerned that your horse or pony may be suffering from laminitis, or if you have any questions about the condition, do not hesitiate to call us on 54470172.